Sorry, Gents, if I’ve been a bit incommunicado the last couple of weeks – I was distracted by being enveloped by and wallowing in a lot of Really Old Genesis – Trespass, Nursery Cryme, Foxtrot and Selling England… Good Lord, modern music has nothing on what was produced in the early days of Prog! As for early recordings of (just about anyone): I mostly can’t listen to them. Those ancient radio station performances are the equivalent of today’s cellphone audio quality, for the most part (thank you, and NO thank you, YouTube – at the same time!). What I do find interesting is the contrast the two of you present when reviewing The World’s Greatest Progressive Rock Band. Kevin’s musical education leads him to concentrating on the performances, the arrangements, the vocal quality, tone and timbre of the performance, whereas Mark’s experience as a professional musician – in several different variations of what it means to be a “professional musician” – tends toward the technical side of the presentation: the recording and mixing and engineering of it all. It’s a nicely balanced presentation of the whole, and it seems to have mostly come together by happenstance, over quite a long period of time… which is the way the best things tend to happen. I’ve never heard Chris Squire’s Swiss Choir, but from the way you describe it, Kevin, I just may have to locate it, in one format or another. So now we get to the Yes Christmas Wish List… well, I’m sure you realize that Christmas is coming in February for Rachel and I this (next?) year, as well as our Big Vacation Plans for 2017, what with our heading out onto the high seas with Yes, Kansas, Steve Hackett, Patrick Moraz and a literal boatload of other prog acts on the 2017 Cruise To The Edge. I can’t quite explain just how much I am looking forward to this excursion – hoping to just casually bump elbows with some of the Giants of progressive music. I know that Yes is the official host of the event, but what I am really anticipating above all others is whatever Steve Hackett has in store for us. I’d like to just rub elbows and maybe share a scotch with Lee Pomeroy… how cool would that be? He’s as big a fanboy of these bands as we are. So – I’m open to being the semi-Officlal YMP representative on board, though I’m pretty much of a Luddite when it comes to technology… I’m an analog man adrift in a digital world, so it seems. Perhaps once “The Holidays” are over we can figure out just what we might or might not be able to accomplish on the four seemingly brief days of this cruise. Aside from my wife and my dogs and my job, YES is the biggest thing in my life at the moment. Excellent comment JC. That’s a great sequence of albums Trespass to SEBTP. What an era that was between Yes Genesis and ELP. Good to hear from you. No need to apologize. .life gets busy..especially this time of the year. And if your going to be distracted. ..Genesis is a good band to that…especially the early years. Thanks for the compliment in regard to our reviewing styles..I think it works well like that. ..like you said it makes for a more complete picture. The cruise I’m sure will be incredible. .I’m sure we will chat before you leave to see what you may be able to do as far as giving us some reports from the ship. Oh and the Swiss Choir album is fantastic and worth purchasing. Here in the UK most of us first heard such music late at night (John Peel) or on saturday afternoon (Alan Freeman show) on medium wave radio (AM to you kids) The quality of the BBC Something’s Coming sessions far surpasses the muffled sound we picked up. I think it is easy to criticise the sound quality in hindsight but they were never going to be heard as we do now. The version of the album I have is a double CD of BBC recordings 1969/70. Disc two is from a live broadcast or at least before a live audience. 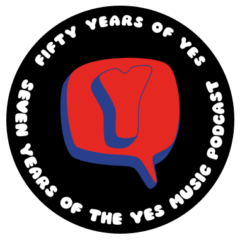 The thing that strikes me about this period of Yes is the energy with which they played. Kevin, your review surprised me in the light of the reason you don’t like ELP. You revelled in the inclusion of the Prokofiev piece and of course the performance of Something’s Coming by Bernstein/Sondheim. You told me you don’t like ELP because of their reworking of some classical pieces. I loved these little medleys as well as those on the Beatles’ Every Little Thing. 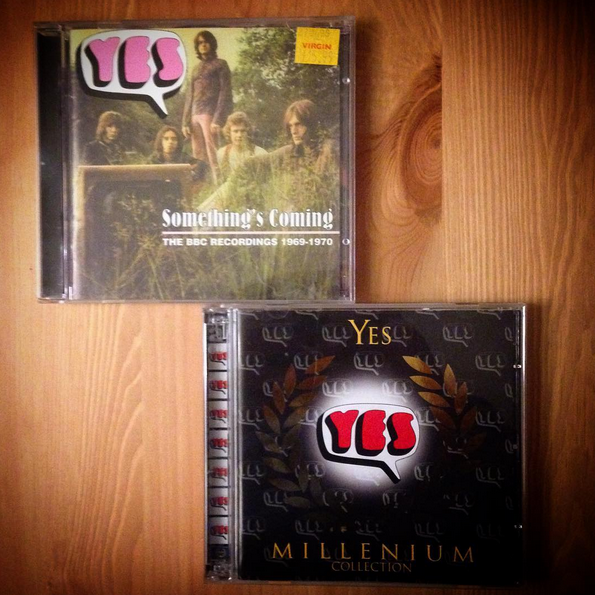 I agree Mark that all Yes fans should get this CD. It was interesting to hear your wish lists. Mine is that I can find some of my memorabilia. I had loads of cuttings from the music press from the mid to late 70s of reviews of Yes albums, concerts and interviews. Also the only gig programme I can’t find is that of the Tormato tour. I found all the others when I sent you pictures of them some years ago. Also the negatives from the GFTO gig London 1977. I was in the second row right in front of Chris in his striped suit (one of the pictures I sent you which you’ve used on the Patreon page) also the negs from the Drama gig. I found only one or two. Thanks Jeremy. Well….I have always admitted my own hypocrisy and you have spotted another example. 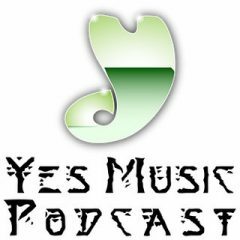 However, I would argue that the snippets of musical quotation in Yes arrangements is very different from the complete versions of ELP. For example, Pictures at an Exhibition is a complete version of the Mussorgsky original isn’t it? The quotations are clever interjections meant as semi-comic(?) references for the listener to enjoy – and I do! I am very happy to be persuaded I’m wrong about ELP’s complete re-workings and maybe you can suggest somewhere for me to start – thanks! Please Kevin, I’d never hint at you being hypocritical, perhaps a little inconsistent at the very worse 🙂 but hey none of us would stand up to any real analysis other than me being always a grumpy old git. It is true that a quote here and there is not the same as a full blown rearrangement but for me the spirit is similar in that it is paying homage to a greater source. In the same way classical composers quoted others, and some even made arrangements. The latter takes me back to your point on Pictures at an Exhibition. The original was a piano piece by Mussorgsky but it is better known in the orchestral arrangement by Maurice Ravel. ELP’s take on it was their arrangement of some of it but not the complete piece. Their version of Copeland’s Fanfare for the Common Man is excellent, well in keeping with the original as are their takes on one or two other pieces. The Ginastera piece on Brain Salad Surgery is spectacular. That is the album I’d suggest you try first as it has all of their styles including the comic Benny the Bouncer and the awesome rendition of Jerusalem. They did a triple live album which could be a way in which contains a wider repertoire up to that point but the sound quality ,like Yessongs, is iffy. Their preceding albums are also excellent with progressive pieces divided up into movements as does Yes. Tarkus, Trilogy and the eponymous Emerson Lake and Palmer are all excellent. You’ll not be disappointed by the musicianship. The sound is very progressive. Being a queen fan, you may find it more of a challenge though perhaps if you veer to the darker classical music then it may well please you. From one Grumpy Old Git to another – I have to agree, if you’re going to try ELP, then Brain Salad Surgery is the best intro. The others have some great moments, but there’s a great deal of over-indulgence as well. But while we’re here, one should not forget the track “Are You Ready, Eddie?” from Tarkus – the title is an in-joke from their time in the studio with their producer and recording engineer (none other than) Eddie Offord. Also, early Genesis is DEEPLY resonant. Thanks Jeremy. 2017 must be the year I do as you say and listen properly to your suggestions. I’ll let you know how I get on! 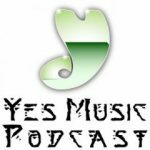 Next Next post: Yes inducted into Rock and Roll Hall of Fame! At last!